Jessica Vasanthan's BioBlog: "I asked for a BLUE-EYED baby!" "I asked for a BLUE-EYED baby!" Designer babies are babies whose genetic makeup have been artificially selected through the process of genetic engineering combined with In Vitro Fertilization (IVF) to ensure the presence or absence of particular genes or characteristics. This process was originally used to screen embryos for genetic diseases and select healthy embryos to decrease the chance of a baby being born with genetic disorders. There are many cases where this has been successful and inspiring. The case of Adam Nash could be used as an example. Adam Nash's embryo was selected because it did not contain Fanconi Anaemia, a disorder his sister suffered from . Adam became his sister's keeper doubling her chances of survival. The IVF process has a high possibility of the woman dying during birth. Moreover, the baby may also be born with a low-birth weight and genetic defects. Nowadays, this process enables a parent to choose up to gender, hair, eye and skin colour of their future child. Yet, these traits and modifications do not come free. They are extremely expensive! Ethically these procedures are found wrong. Many believe they are being taken too far and abused. They were meant for medical purposes, but now are used for cosmetic purposes, too. Society as we know it, is a difficult place to fit in. Imagine a person with a mental illness! Usually they are treated very differently from the average person. Thus, a baby who undergoes IVF to be cured from their illnesses would feel more welcomed into society because they will be no different from another. However, a “designer baby” who discovers they have undergone the process of IVF for cosmetic reasons will feel abandoned by parents and find it hard to be treated average due to their extraordinary intellectual ability and physical attributes. Personally, I disagree with the idea of “designer babies.” First of all, a person's true beauty comes from the heart and all humans are created in the image of God, appearance shouldn't be stressed. Also, after reading My Sister's Keeper, a story about a young girl who was born to save her sister, it upset me to learn about a girl who did not get the chance to live. She was a “designer baby” that suffered. She had no freedom and wasn't shown the same amount of love her ill sister received, though all the times her sister was in the hospital, so was she. It's just that there are many eager donors that can help. In my opinion, it's just wrong. Everyone is beautiful in their own and unique way. I really like how you included a successful story in which this technology was used in order to benefit someone else. Stories such as those, where a baby is engineered in order to be a perfect match for someone else, is really an amazing thing (technologically), whether it is seen as ethically and morally correct or not. When I read about the difficulty of fitting in, it made me think about how there could be a split in society of those who were designed and those who were not. One may be seen as better than the other, and this difference could set many people apart. Tampering with genetics could prove to be destructive, in terms of acceptance of others in certain social groups. I agree with your own opinion completely. I think that it's not up to parents or scientists to decide how a child should or should not turn out. I also agree when you say that designer babies will also be affected, and not necessarily in a positive way: if not physically, from procedures in order to donate to others; emotionally, simply by knowing how they were conceived. I gained a lot of new insight from your entry; it really made me think about this further. Great job! I really enjoyed your blog, and nice title! Your blog was very inciteful with tons of information. I liked how you used Adam Nash as an actual example of designer babies. People may not realize that designer babies is a topic that is not just up for discussion, actual families have designer babies, and this is probably just going to increase as technology gets more advanced. I also like how you talked about how a child who may find out that they are a designer baby, what they might feel. I completely agree with you on that, I never really thought how they would feel. I just thought ok the parents will have a tough decision on this, and other people will have controversy over this. However, you are right the child may feel abandoned and they might even question their existance, thinking if they even would be born if there was no such thing as designer babies. Another thign I liked is how you said "Everyone is beautiful in their own and unique way" I find that a great ending. I have no bad comments to say, so great job! I really liked reading your bioblog. It was an eye-opener because it made me realize the what I had not seen before. I agree with you 100 % that designer babies should not be supported. I guess for medical reasons ,using designer babies are okay however keep in mind that it will impact the child to feel unloved and alien to the rest of us. Adam Nash's example further explained how Designer babies could be used for society's better, however the book Sisters Keeper was an example of the extreme opposite and how it may not be beneficial to the Designer baby itself. I did not know that IVF can impact the woman and baby negatively by causing death or birth defects ( I think this should be seen as precaution). When you stated that this procedure comes with a cost, it hit me that many of these research experiments can be done just for money. It seems like doctors are allowing this treatment be available for the wrong reasons... If they are selling this treatment, they are just using it for their beneift and not for the rest of humanity, which I totally disagree with. I also agree that using IVF for cosmetic reasons is unethical. With great power comes great responsibility- and I think doctors are not responsibily using their power for better- they are further damaging our human existance. I really liked this post--it made me think about this issue further and in more detail. I agree with your thoughts regarding a separation in society; this is very plausible and I hate to think about such an awful thing becoming a reality. I also liked how you included the success story of Adam Nash. 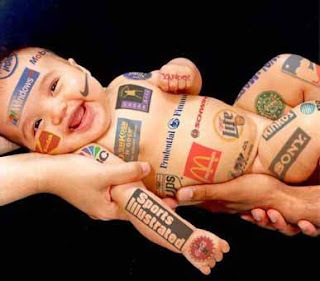 This is one of the examples of the positive side of designer babies. I found it insightful that you mentioned "My Sister's Keeper" and the story of an unfortunate designer baby. Since you showcased both stories, the readers of your blog were able to see the good and bad aspects of genetic engineering.